After Killen: What’s Next For Mississippi? #PHILADELPHIA, MISS.—Rita Schwerner Bender traveled back to Mississippi last week in search of justice for the murder of her first husband, Michael, who was brutally murdered by Klansmen in Neshoba County on Father’s Day 1964 for working with his wife and other activists here to register Mississippi blacks to vote. Justice, of a fashion, came Tuesday, June 21, when the mixed-race jury returned guilty manslaughter verdicts 41 years to the day after the three men were murdered on Road 515 south of Philadelphia. #The Schwerners, fresh out of college in New York, came to Meridian in January 1964 to help Mississippi blacks help themselves in a state with the worst and most entrenched Jim Crow segregation laws in the nation. They met a wall of resistance bolstered by a strong coalition of Ku Klux Klansmen, law enforcement, everyday people and the business establishment. #The two young idealists—he was 24; she was 22—also urged local blacks to take on a governmental system that kept segregation in place with voting poll questions like “How many bubbles are in a bar of soap?” standing between them and equality. The Schwerners were two people at the heart of a non-violent movement that ultimately believed in the good in people—including in a state where segregation was the most legally and socially entrenched. #But, despite the delay in justice for her husband, Bender used her time in Mississippi for this trial, which began June 13, to try to tell the world that there were “many, many acts of violence” here during the Civil Rights Movement that need to be faced. “This case is not the only one, and it’s not the most important one,” she said on Day 3, standing in front of the Neshoba County Courthouse under a magnolia tree. #“We came to Mississippi to work in the Civil Rights Movement, to work at establishing a community center in Meridian,” Bender testified on Day 3, June 15. She was the prosecution’s first witness in its case against Edgar Ray “Preacher” Killen for planning the murder of her husband, along with James “J.E.” Chaney and Andrew Goodman, by Klansmen on June 21, 1964. #The community center was a place for young blacks, where they could hang out, play ping-pong, read. “There were thousands of books,” Bender told the jury. Her husband and his new friend, black Meridian native J.E. Chaney, built the bookshelves themselves. They hosted a children’s story hour, “a precursor to Headstart, a model program.” They had hoped to start the next community center—or “Freedom School”—in Neshoba County, both to help children who were segregated into substandard schools and to help adults get ready to tackle the arduous—and unfair—literacy tests that stood between them and their right to vote. #But such a noble-sounding goal was a threat to too many Mississippians’ “way of life”—which meant segregated and separate-but-unequal facilities and schools, as well as complete power over the political system. And white Mississippians weren’t about to give up so easily. Angry men and women called the community center continually to taunt and threaten and cuss at the workers, to accuse them of being “communists,” to make clear their sentiments about “Goatee,” as Schwerner was called by whites here because of his “radical” facial hair. Bender remembers vicious phone calls, with voices telling her that her husband was dead, or soon would be. #The Schwerners had to keep moving, staying with black families who were threatened for helping them, renting homes from black owners every few months. For a while, they stayed in black businessman Charles Young’s Meridian hotel—but had to go in and out the back entrance because they were white. #The threats soon proved to be real. The Klan—according to testimony by former members—would organize in Meridian and Philadelphia in response to the Schwerners’ work. Using a license plate number and other information disseminated to law enforcement by a state agency, the Klan would carry out a detailed plan to execute Schwerner and his friends, bury them, dispose of their car and then cover up the scheme. #Bender, who was in Oxford, Ohio, for a nonviolence workshop when the three men came up missing, heard that the burned-out car was found three days later while waiting in the Cincinnati airport to get back to Mississippi to help look for her husband. She had run into Mississippi civil rights matriarch Fannie Lou Hamer in the airport, and they were talking when someone found Bender to tell her the car had turned up in the Bogue Chitto swamp. She knew then that they were dead, Bender testified. She and Hamer embraced and started crying. “Our tears mingled,” she said. The bodies, however, were not found for 44 days, buried under an earthen dam outside Philadelphia. #The conspiracy to kill the three men, informants testified in 1967 and again this week, was planned by Preacher Edgar Ray Killen. Then 39 and in vibrant health, Killen was a loquacious Neshoba County personality, as well as a known Klansman in his younger years, known for intermingling his faith in God with the practical goal of maintaining white supremacy. #“Preacher Killen told me this was a very patriotic and Christian organization,” now-deceased conspirator James Jordan told a 1967 court convened by the federal government to bring civil-rights charges against 19 conspirators. Seven of the conspirators, including Jordan (who pled guilty in exchange for testimony), served time in federal prison; however, Killen walked free thanks to one juror who later said she “could not convict a preacher.” A portion of Jordan’s testimony was read into the record in this trial. #Informants like Jordan who were recruited into the Klan by Killen, a “kleagle” (meaning “organizer” in Klanspeak), made it clear that preventing school integration—and thus race intermingling and, ultimately, understanding and mutual respect—was at the heart of the Klan’s goals then. “We were opposed to integration. We were opposed to the coloreds going to white schools,” he said. #Cross burnings, beatings and “elimination” were ways they used race terrorism to prevent such societal integration, much as the organization first used sheets to scare blacks out of exercising their new right to vote during Reconstruction. An early goal of the Ku Klux Klan, started by Confederate Gen. Nathan Bedford Forrest in 1865, was to terrorize blacks into thinking that “ghosts”—the first “night riders”—would haunt them if they tried to exercise the rights they gained after the Civil War. #Jordan’s testimony laid the foundation for what happened on the evening of June 21, 1964. Schwerner, Chaney and Goodman—on his first full day in Mississippi—drove to Neshoba County from Meridian that Sunday to look at the remains of the Mount Zion Church in the Longdale community. Neshoba and Lauderdale County Klan members had burned the church and beaten the parishioners on the evening of June 16 because they heard they had been talking to “Goatee.” Testimony in 1967 also indicated that they hoped to lure Schwerner to Neshoba County in order to ambush him there. #The afternoon of June 21, Jordan said, Killen had told the men that the three civil rights workers were waiting in the Neshoba County Jail and that he needed “some men to tear their rear ends up.” But when the mob arrived in Philadelphia, they would learn that bulldozer operator Herman Tucker had a fresh grave waiting for the men on the property of businessman Olen Burrage near the Neshoba County Fairground. Their bodies would be interred there until informer and highway patrolman Maynard King, now deceased as well, led the FBI there 44 days after they were killed—on Aug. 4, 1964. #Bender came back, instead, to watch a Mississippi jury—with nine whites and three blacks—convict a conspirator for the first time of a State criminal charge in the case that made a nation pay attention to race brutality in the South. But standing in front of the courthouse, Bender emphasized that none of us are in Neshoba County this week due to the fact that James Chaney, a native Mississippian and a black man, had been killed. #But, like Bender, Chaney does not want to see too much focus on the Klan. That would obfuscate the reality of what was going on in Mississippi on every level of white society, from the governor’s mansion to the Citizens Council, the Sovereignty Commission to white Mississippians who wouldn’t speak up against race hatred and violence. #“In the ’60s, good people did nothing,” Chaney said. #To truly move forward and away from the past that many Mississippians still prefer not to talk about, Chaney said, we must do what makes us uncomfortable: face the truth. And that truth can hurt—it means that simply blaming a few rednecks in the Klan for Mississippi’s ugly race history is inaccurate and, indeed, “incomplete,” as Chaney calls it. It also means not learning the lessons that can keep history from repeating itself—as it did in Jasper, Texas, when young white men dragged a black man behind their pickup until his head detached in 1998, or in Laramie, Wyo., the same year when young homephobes left Matthew Shepard tied to a fence to die. #The transplanted Mississippian—who moved with his mother, Fannie Lee Chaney, to New York City after his brother’s death—said black Mississippians still suffer under the pain and legacy of lynchings. The race terrorism wasn’t simply brutality by a handful of violent people; it served as a strong deterrent to keep them from economic and political equality, and helped instill the economic inequalities that still exist today. He points to the recent anti-lynching resolution in the U.S. Senate—and Trent Lott and Thad Cochran’s absence from the signature list—as evidence that many white Mississippians still don’t get it, or won’t admit it if they do. #“You can cut years off the fight throughout the South by concentrating on Mississippi and showing how there can be progress in the toughest state,” Michael Schwerner said in April 1964. The quote was handwritten on a poster tacked to a tree at a Memorial Service to the three last Sunday at the Longdale Community Center east of Philadelphia. #What is difficult for—or simply unknown to—many state residents is that Mississippi was the worst offender by nearly any standard. We had more reported lynchings. We came out of Reconstruction with horrendous “Black Codes” designed to yank away any rights blacks had won after the Civil War. Jim Crow laws were not to be bent even by critics, and the law was there to enforce them. #Then there was the implicit and explicit agreement by every level of government and society to keep blacks stratified into a separate-but-unequal status. Blacks could vote—technically—but were harassed away from the polls, or beaten or killed or cut off from their welfare checks when they tried. Or they were asked how many bubbles in that bar of soap. They were taxed, but couldn’t vote. #African American taxes even helped pay for a state spy agency to ensure that they would never demand their rights under the U.S. Constitution. The state Sovereignty Commission—established by the Legislature in 1957 to counteract the “threat” of school desegregation—was supported by taxpayer money until 1973, as well as financing from members of the white Citizens Council. That group was known as the “uptown Klan,” as newspaperman Hodding Carter Jr. called the group of business leaders that boycotted his business, and many others, in the 1960s for his support of civil rights. #Sovereignty Commission files (now available online) show that state investigators tracked the civil rights activities of the Schwerners and provided their license number to police officers and sheriffs (and, thus, the Klan, which was “riddled” with law enforcement, as Bender put it). “Investigators” did everything possible to discredit the movement and, perhaps most alarming, stirred up race hatred around the state. The file contains letters from prominent businesspeople, most Citizens Council members, who donated money to the effort. #In myriad ways, the state government fed directly into the violence that occurred on Road 515 as well as other civil rights violence. #But even as public sentiment now rejects the Klan and its more notorious figures, acknowledgement of just how bad the state was on “the race question” and the complicity of white citizens—including loved ones and role models—is an extremely arduous task. #But truth can be, and often must be, agitating. Thus, it can be easier to live in denial and hurl “opening old wounds” excuses rather than face the past. This week, former Philadelphia Mayor Harlan Majure, taking the stand in defense of Killen, made headlines when he told the court that he remembered the Klan being “peaceful” and doing good deeds. This was particularly galling to many because the Klan tends to pop up as the more vitriolic—if not outright violent—response to strides toward race equality by blacks, as well as Jews and other groups, now including homosexuals. #You don’t know what you don’t know. At least until you become more educated. #Posey is quick with her reason now for joining this effort to bring better racial understanding to Neshoba County. “I believe in prayer, and I’ve been praying for a long time for my city. I want to see my city heal and go forward.” She is adamant that it can only do that once the past is squarely faced. #Education is absolutely essential, Posey said—including about the hard stuff that might even agitate people a little at first. “I’ve met people I did not know,” she said of her involvement with the coalition, which has drawn blacks, whites and Choctaws on all economic levels. It has also drawn ire from civil rights veterans like Diane Nash who say that descendants of racists are now trying to “profit” off civil rights history, and aren’t willing to be completely honest about the past. #Posey, though, said she now wants to hear the truth, all of it, from the large to the small stories that helped her understand that other people have different perspectives. She recalls learning from a Choctaw friend in her 40s that as a little girl, she thought that a “white only” sign in a local store meant she could only order white, or vanilla, ice cream. It was a small story, but one that shows how a third race can easily get left out of the attempts for understanding. #Posey is quick to say that this effort must not end with Killen, regardless of the verdict, even though she expects that some members of the coalition might get back to their normal lives once it’s over. “It’s still a process, still a process of healing,” she said. Despite criticism such as Nash’s, coalition members are working to push the work forward. On Wednesday through Friday of this week, June 22-24, they are hosting an education summit for teachers at Philadelphia High School—the “Chaney, Goodman, Schwerner Living Memorial Civil Rights Education Summit”—a free event with workshops on how to incorporate more complete civil rights studies into curricula, as well as a keynote address by civil rights veteran Lawrence Guyot. And the coalition announced after the verdict that they are going to push for a larger racial-reconciliation effort in the state for a fuller accounting of the state’s racist past and more public atonement for past crimes. #Ben Chaney is impressed with forward-thinking children of Mississippi who have not left, or who have returned, to help mend racist rifts, even as he has been critical of the Philadelphia Coalition, especially for allowing Gov. Haley Barbour and Rep. Chip Pickering to speak at the 40th anniversary commemoration service for his brother and his two fellow activists in 2004. He pointed to the state flag pin that Barbour wears on his lapel that contains a symbol of a way of life that his brother died to change. At last year’s event, Chaney held a press conference outside the Mount Zion service, criticizing the coalition for edging out long-time civil rights veterans and for bringing “negative people” like Barbour to the podium. #Still, Chaney seems to have mellowed a bit by this year, and is complimentary of Mississippians—including young whites—who are working for reconciliation. “Good people have been intimidated for too long,” he said to the group gathered under huge trees outside the shell of the Longdale Community Center Sunday (it burned in recent years). “So many young people turned 18, 20, then found out what their neighbors did. The first thing they did is left the state.” But, he said, some are coming back and “fulfilling their obligation to the state, to their motherland.” This retention and education of young people is key, he said. #Chaney believes the reconciliation effort must be multiracial; yet, he wants it to be brutally honest, and he wants leaders held accountable for their role. He calls for the state Legislature, with its large number of black members, to establish a statewide Truth and Reconciliation Task Force. The group would both detail and acknowledge the state’s role in civil rights atrocities, as well as gather information into one place on unsolved race murders and demand prosecutions of killers who are still alive. It would gather legal resources, identity race-violence victims and their families and be a way to call in the Justice Department for investigative assistance (which he strongly believes Attorney General Jim Hood should have done in this case). #“It would promote a fundamental premise of justice,” Chaney said of his task force idea. He doubts that the state’s leadership, including Barbour and Lt. Gov. Amy Tuck, would buy into the idea, but he calls for the legislators, especially the House, to act on behalf of the people. #“That’s a phenomenal idea,” she said when told of Chaney’s idea. “I think everything ought to be on the table to have the conversation.” She also wants to see race forums in every county in Mississippi, creating a “safe environment” for difficult discussion. And, like Chaney, she does not believe that a truth and reconciliation effort should include amnesty for old race crimes—which some supporters call for in order to get people to talk more easily. #“First justice, then truth is established within,” Chaney said at the Coffee Bean. He and Glisson believe that communities coming together to call for old prosecutions can, and must, then go further toward revealing the entire truth—not just what the prosecution decided would help the case against one of many conspirators. 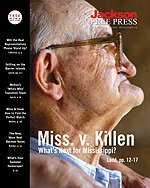 #Chaney joins others in Mississippi like the former newspaper editor Stanley Dearman (who calls Killen the “first among equals” of the conspirators) in wanting Killen’s verdict to be guilty. Yet, it is just not enough. “I don’t think this one case is going to clean Mississippi’s house,” he said. #But the younger generations can do just that, Chaney said—adding that Mississippi is the “safest” place for him and is a “shining example” of young blacks and whites working together. They just have to work harder to bring more people into the light. #Derrick Johnson, the president of the Mississippi NAACP, is trying to do just that. Standing on the Neshoba County courtsquare on Day 1, with his young son standing at his side, he said that the “quiet game” must end and that the state of Mississippi needs to acknowledge its past sins regardless of Preacher Killen’s fate. #“The state of Mississippi should be held accountable for its actions,” Johnson said. #So must the country, Bender emphasized. This isn’t just a Mississippi problem—the rest of the country must face the question of race as well, she said under the magnolia tree. “In some ways, maybe the country is on trial,” Bender said. #Donna Ladd grew up in Neshoba County. As of 12-Jan-2018 the world is a better place with the death in prison of the cowardly KKK Preacher Edgar Ray Killen who organised the brutal mob murder of James Chaney, Michael Schwerner and Andrew Goodman, all in their 20s, who were ambushed and killed by a shamefull American mob of cowardly Klansmen in 1964. JACKSON, Miss. 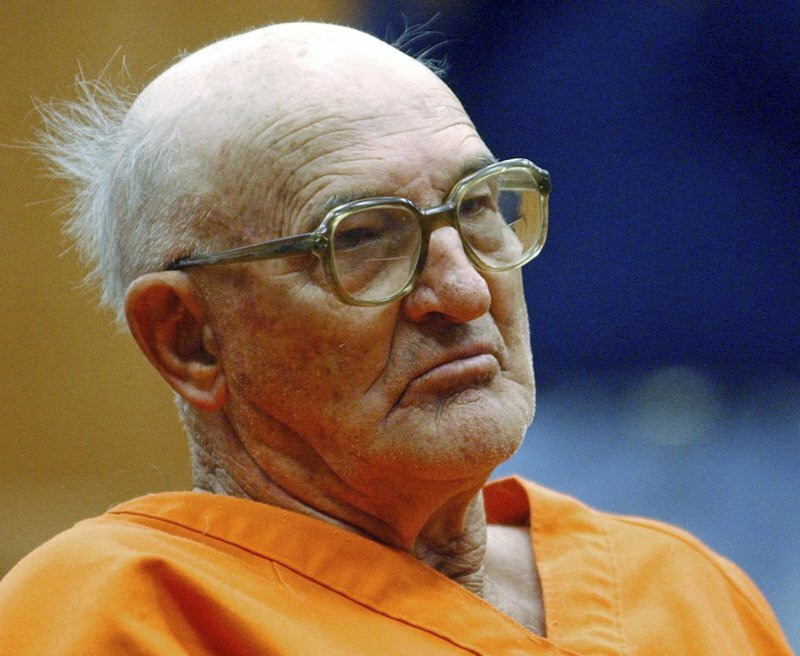 (AP) — Edgar Ray Killen, a 1960s Ku Klux Klan leader who was convicted decades later in the “Mississippi Burning” slayings of three civil rights workers, has died in prison at the age of 92, the state’s corrections department announced Friday. DON’T BE DECEIVED – Lynching In America Is NOT A Thing Of The Past! On Saturday, an African American student, Richard Collins III, was stabbed and killed on the campus of the University of Maryland in what was widely – and … should have been a major story in the past few weeks, as should the lack of punishment for the killing of Alton Sterling and the lynching of Collins.